Guys need to take a step back from the action every once in a while and let the girls step in and show them how to take care of business. You've got your own rifle and camouflage ready to go but that sun just keeps getting in your eyes. You can throw on a pair of shades to protect your eyes from the rays but what about the rest of your face? Maybe something to keep your hair out of the way too. 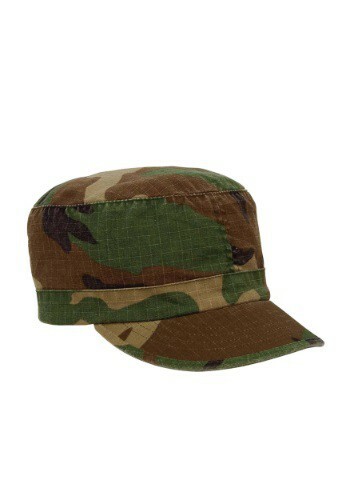 Just throw on your woodland camo hat and you'll be set to go. It works whether you're hunting down your next meal or standing watch to protect the world and become the next action hero. Rambo was overrated anyway. Just throw this on to top off any military costume for Halloween. Don't forget to check out the other accessories. You'll need that gun and maybe a few grenades plus a signature knife to perfect the look.